Nestled away from the hustle and bustle of Colorado Blvd. 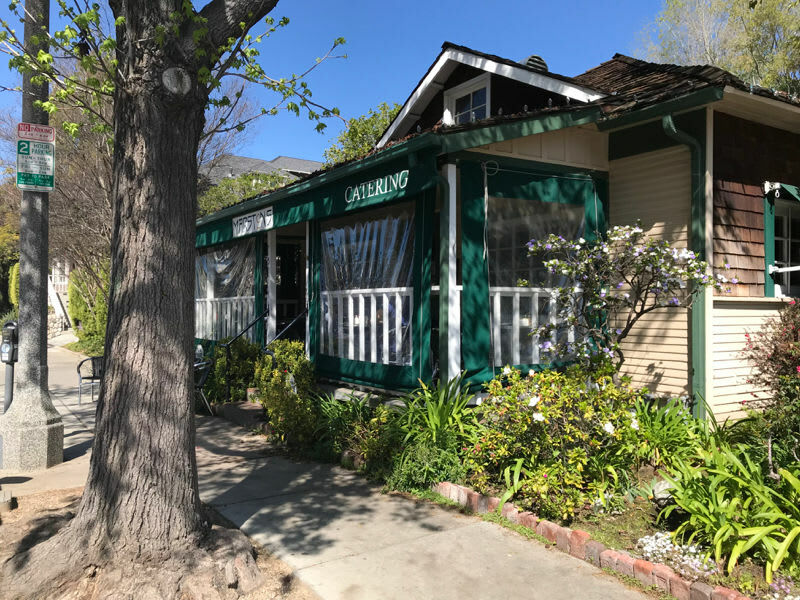 off East Walnut Street in beautiful Pasadena, California sits a quaint restaurant named Marston's. Passing it in your car you might not even notice it was a restaurant and mistake it for a house, but the line of people waiting to get in gives it away as some sort of establishment. This is what first sparked our curiosity in trying it out for ourselves. Being just a 5 minute drive from Arroyo Parkway Self Storage, it is a perfect lunch destination. Known for their breakfast and lunch menus we decided to stop in one Sunday afternoon for lunch. We pulled up and parked at the homey restaurant and signed our name in to be seated. The outside has a cozy patio section under an awning that sits right across the street from Memorial Park and the popular Levitt Pavilion. The line was long but we were seated right away. Once inside you feel as if you are at someone's house inside the warm dining area surrounded by local artwork which you are able to purchase. Once seated we saw there were many options that would satisfy any appetite including omelets, sandwiches, soups and many other breakfast and lunch items that all looked amazing. What we really came to try though was their famous corn flake crusted French toast. Before we decided to eat at Marston's we looked them up online and saw that everyone was raving over the French toast so we had to try it. Their French toast is different than any other we had ever tasted. First they start with thick pieces of battered bread and cover it with corn flakes which give it a fantastic crunch, then they top it with fresh berries and strawberries and a side of maple syrup. It was a very unique and fresh take on the classic French toast we are all used to having. We also ordered some of their potatoes and eggs on the side and the potatoes had just the right amount of peppers and onions mixed in giving them a very delicious and distinct taste. We look forward to going back soon to try more of their delightful options. With a charming environment and friendly staff it makes a perfect little lunch date. And seeing it is only a short distance from Arroyo Parkway Self Storage it is an ideal spot to grab a bite after you get done digging through your storage unit. Thanks everyone, and we hope you enjoyed our Marston's review!